There's no doubt about it. Brock and Bryson are best buds. 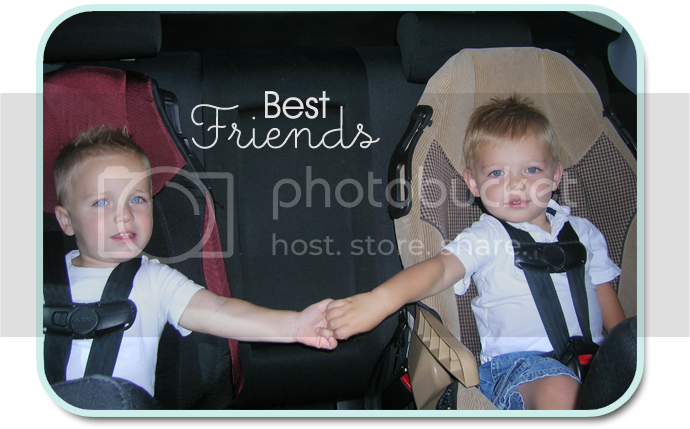 The other day while in the car with Rachel and Brock, I turned around to find Brock and Bryson holding hands as we drove. It was the cutest thing. What I find amazing is that they are both adopted from different parts of the country, Brock from Arizona and Bryson from Ohio, but now they are best buddies living together in the same family (as cousins) in Utah. We know they are both meant to be apart of our family and we feel so lucky to have them.